This damning conclusion, from Frank Field MP, chair of the Work and Pensions Committee, is one of several to be found in the final report on the company’s collapse, which has been compiled in conjunction with BEIS. In it, government is accused of lacking ‘decisiveness or bravery’ whilst Carillion’s directors are described as ‘delusional’ and ‘shysters’. 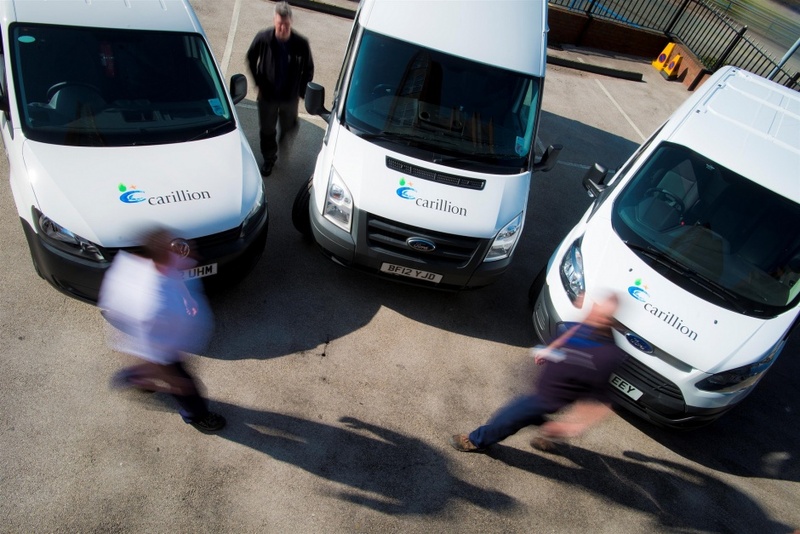 Before it went into liquidation on January 15, 2018, Carillion was one of the government’s biggest private contractors. In the UK alone it could count 20,000 staff working on construction projects. It delivered services to UK schools, prisons, hospitals and the MoD. In July and September 2017 Carillion issued profit warnings but was still awarded contracts worth £1.3bn to build key sections of the planned HS2 network. Carillion went into liquidation in January 2018 with liabilities of nearly £7bn, including a £2.6bn pension deficit and around £2bn owed to suppliers, sub-contractors and other short-term creditors. The company’s cash position amounted to £29m. Reeves added that Competition and Markets Authority should look at the break-up of the Big Four accountancy firms – KMPG, PwC, Deloitte and EY – to increase competition and resolve conflicts of interest. The report also criticises The Pensions Regulator (TPR) and Financial Reporting Council (FRC) for being ‘united in their feebleness and timidity’, and of being too ‘passive and reactive’ to make effective use of their powers. Does anybody really look carefully at a company’s accounts before awarding large contracts? £7bn liabilities, £2.6bn pension deficit, and £2bn owed to creditors, doesn’t happen in a matter of a few months! It appears that the published accounts were at best misleading. KPMG was heavily criticised for signing off the figures. Reminds me of Enron, in the U.S. Their auditor, Arthur Anderson, was one of the “Big Five”. Now there are just four as mentioned in the article. Nobody from the management of the regulators will go to jail for fraud and they’ll still walk away with their £millions so they weren’t ‘delusional’ at all – they all knew how it would work out because it always works out like that. In 1971 (that is 47 years ago!) I could have written exactly the same report as Parliament has done in this case. In fact I actually did: and was ejected for my sins! by the three crooks who were the directors of the ex-public Co I was working for. But it gets better: as a shareholder (one share) and knowing intimately of the financial and other skulduggery in which they were engaged, (back-handers, bribes, failure to honour agreements, purchase of simple parts at inflated prices from a private Co in Switzerland (geddit) bullying harassment and intimidation of staff, journalists who questioned their nefarious ways) I wrote to the firm, its auditors, and the DTI. My reward this time was to be chased (plus wife and 10 month old baby) to the next AGM by private detectives: pinch yourself -it made Starsky & Hutch look tame- it actually happened. Two years later, the firm went belly-up ; about 1400 workforce lost their jobs, shareholders lost I estimate £100,000,000, suppliers £15,000,000 -customers were totally ‘scr**ed’- . Of course the directors did pay some of the smartest lawyers in the land to bat away all criticism (including suing the then left-wing candidate for MP) -bamboozle the stock exchange regulators and so on. There is more, much more if any Engineer would like to receive it: mikeblamey@yahoo.co.uk. There have been occasions in the past where fellow bloggers have wondered about some of my views and comments: I believe they might accept that my comments are based upon rather well-established precedent! I read with complete astonishment Mike Blamey’s comments and wonder how many other companies are treading the same fine line. I am part of an SME and marvel that we get monthly e mails reminding us that our pension contribution is being taken from our account, how do the big boys get away with £2bn pension deficit??? Maybe the industrial fraternity need more men of honour like Mike who are willing to stand up and voice what is going on. All too often the ‘losers’ are the foot soldiers who just want to get ‘a fair days pay for a fair days work’ and keep their families with a roof over their heads, food in the cupboard and bills paid. No fancy yatch or glamorous holidays for them and then to see their pensions being decimated to add insult to injury, makes your blood boil. I watched this happen to a company that I did my apprenticeship with. It hasn’t gone yet, but is getting bigger and more top heavy every year. They are taking over more and more smaller companies and telling us that it is to make them more competitive in a global market place, and in the meantime the directors seem to be feeding their faces in the trough of the company coffers. When I did my apprenticship we had a plethora of aircraft manufacturers, now we have but one. Let’s see how long it lasts before it goes the way of Carillion. David,A: thanks for your support: and delighted to let you know more: to avoid cluttering up our august journal contact me directly? I always said reference this episode: properly handled it would have brought the Government down! Actually the electorate did the job instead, getting rid of Heath (the unacceptable face of capitalism) and replacing him by Wilson. I have given more details to our editors! One of the central themes of the course of lectures (Eng-ineer-Ing in Society)I had the privilege of preparing and delivering at Exeter Uni was the professional responsibility that those technically trained owe to their employer and to their profession. I used to use as examples the Aberfan (sp) disaster, the loss of a Trident Aircraft taking off from Heathrow, the Flixboro explosion, the space shuttle booster ‘O’ ring issue and so on. In every case, the potential for disaster was well recognised, there were systems in place to alert those responsible, and no-one did anything about it. Until of course it was too late. This Nation leads the world in 20/20 hindsight. Inevitably there was/is a Public Enquiry (led by an eminent Judge, barristers, etc) . If you read these closely, what becomes clear is that the Judge invariably says that for those paid for their brain (not just their brawn) have professional responsibilities to bring concerns about safety and/or improper operations to a level within the organisation to get satisfactory change. In the case of Abafan (sp) -I paraphrase- each ‘level’ of management (including some Engineers) came to the meeting with a sheaf of monthly reports suitable marked: and pointed out to the Judge that “its a terrible thing, but do you see, here (section XYZ 123) I’m clear because I told my seniors this was unsafe. The ONLY person who was exonerated was the site-foreman, who had written to his MP, raised the matter with his vicar, written to as many union officials as he could…and been threatened with dismissal for doing so. Just passing it up the line…is NOT enough. I agree completely. I am not at all surprised at Mikes comments as he says it has been going on for years. The audits carried out by the big four are not worth the paper they are written. Even a layman could have seen Carillon was going pop. What sort of company pretends to be good at engineering and school dinners? ? Our government system is broken but Turkeys don’t vote for Christmas. plethora of aircraft manufacturers, now we have but one. Let’s see how long it lasts before it goes the way of Carillion. : I knew its former CEO well! Readers might like to read a short section of a book, written by a young Engineer, possibly known to other bloggers. Until such time as the accounting firms who audit these companies receive the size of fines that will put them out of business for colluding with their paymasters in these sorts of cases, then share holders, employees and suppliers will continue to be duped and Shysters will continue to prosper. receive the size of fines that will put them out of business for colluding with their paymasters in these sorts of cases, then share holders, employees and suppliers will continue to be duped (what we call stakeholders/)and Shysters ( but they can pay for protection and do!) will continue to prosper. Enron saw off Arthur Anderson -formerly one of the Big Five- now there are four?